Books have a history that can sometimes be very strange. It’s bound up with the history of their owners, their authors and their publishers and of course with the history of their times. But they don’t always give it up easily. This is part of the story of one book that lived through some of the most turbulent times of recent history – a time when books were banned and burned, but also a time when books were part of a great war of ideas. At first sight the book is rather drab and uninspiring – a two volume edition of ‘Dreamers of the ghetto’ by Israel Zangwill, bound in a dark cloth binding with plain boards and just the title in gilt on the spine. It’s an edition from 1898 published by Bernhard Tauchnitz in Leipzig, over 100 years old but showing little sign of its age. The volumes would originally have been sold as paperbacks and then privately bound. 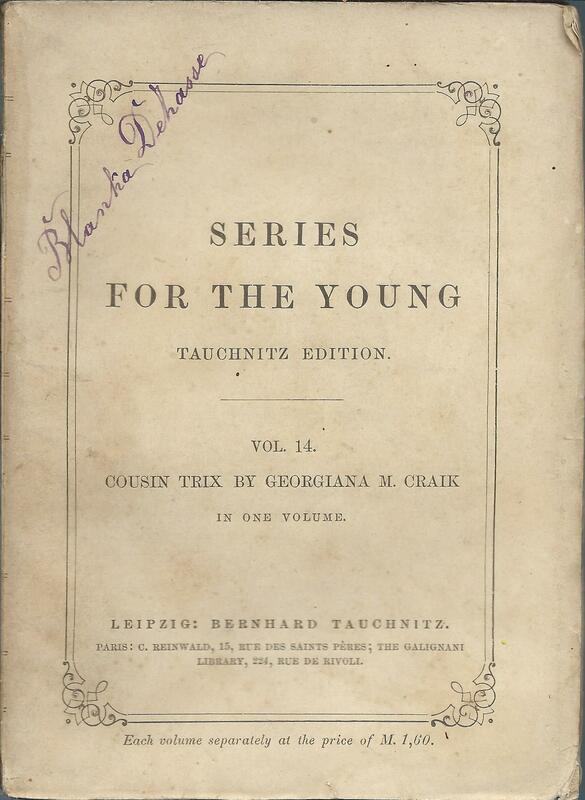 Tauchnitz editions, in both paperback and bound copies were a common sight in continental Europe over a period of 100 years, roughly from 1840 to 1940. 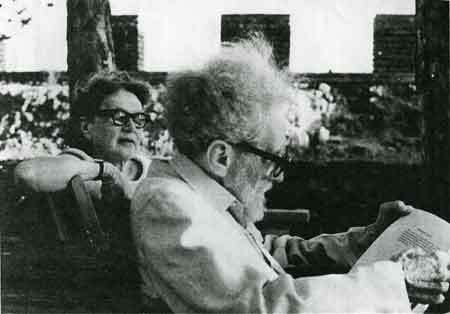 Israel Zangwill, a British Jew, had made his name as an author a few years earlier with the publication of ‘Children of the ghetto’ in 1892. That had been an instant success in Britain and in the US, although unusually it didn’t appear in a Tauchnitz Edition. So ‘Dreamers of the ghetto’ was the first of Zangwill’s works to be published by Tauchnitz, followed later by ‘Ghetto comedies’ in 1907 and ‘Ghetto tragedies’ in 1908. Zangwill was a political activist and initially an advocate of Zionism, although he later became one of the main supporters of territorialism, the movement that called for a Jewish territory that was not necessarily in Palestine. He was also a supporter of cultural integration and popularised, if not invented, the phrase ‘The melting pot’, when he wrote a play with that name about the absorption of immigrants into American culture. According to his entry on the Jewish Virtual Library, he was ‘probably the best known Jew in the English-speaking world at the start of the twentieth century’. So it’s perhaps no surprise that the Tauchnitz Edition of ‘Dreamers of the ghetto’ should have been bought by Dr. Georg Landauer (1863 – 1943), who came from a wealthy Jewish banking family in Vienna. It has his bookplate on the front pastedown, with a rather cute picture of a cat and the motto ‘Ganz oder gar nicht’, which roughly translates as ‘All, or nothing at all’. Vienna at this time was one of the largest and wealthiest cities in the world, the capital of the Austro-Hungarian empire, under the Emperor Franz Josef. Dr. Landauer appears in a list of the 929 richest people in Vienna in 1910, published in a recent book, ‘Traumzeit für Millionäre’. But the good times were not to last. The first world war led to the break-up of the empire and there were other clouds on the horizon for Jewish families. Dr. Landauer converted to Catholicism in 1920, but it was not enough to save him. After the Anschluss in 1938 he was arrested and his property confiscated under the Aryanisation programme. He was held for two days before being allowed to emigrate to Britain, but he had to leave his books and other property behind. The next evidence of ownership is a stamp on the reverse of the title page in each volume for the Studienbibliothek Linz, showing the eagle emblem used by the Nazi party. After the Anschluss, the National Socialist Walter Luegmayer was appointed as Director of the Linz Library and it’s known that many collections of books were forcibly acquired. Perhaps more puzzling is why a book like this, essentially celebrating Jewish culture, should have been preserved in a library under Nazi control. This was the era of banned lists, banned authors and book burnings. Did it survive simply because the library didn’t realise what it was about, perhaps because they couldn’t read English and had never heard of Israel Zangwill (‘probably the best known Jew in the English-speaking world at the start of the twentieth century’ – see above!). Or was it perhaps saved by a subversive librarian, whose respect for books was greater than for his or her political masters? After the war the Annual Report of the library refers to the gradual return of many foreign book collections that had been acquired by confiscation. Was this book returned, and if so to whom? Landuaer had died in 1943 in Tunbridge Wells in Kent. Was it returned to someone else in the family or did it remain in the library? There is no cancellation stamp to show it was sold from the library’s collection, so it may well have been returned. One way or another it eventually ended up in the care of a British bookdealer, from whom I bought it a few years ago. What happened to it in the meantime we can probably never know, although if any member of the Landauer family feels they may still have a claim to it, I’d be happy to hear from them. There seem to be surprisingly few early paperback editions of Rex Stout novels in the UK, but perhaps fittingly, one area where he was well recognised was in the Services Editions produced for the British Armed Forces. I say fittingly, because it was Stout who established the Writers’ War Board in the US, and he was heavily involved in American efforts to use books to help win both the physical war and the “war of ideas”. His early books had been published in the UK by Cassell & Co., but by the time war broke out, like most other crime writers, he had been enticed to the Collins Crime Club, and it was Collins who were by far the largest publisher of Services Editions. The Guild Books series was longer, but as the Guild was an association of publishers, their series included books from a wide range of different companies, including both Cassell and Collins. The first Stout novel to appear in a Services Edition was ‘Black Orchids’, a combination of two Nero Wolfe short stories that had been published in the US in 1942 and then in a Collins Crime Club edition in the UK in July 1943. 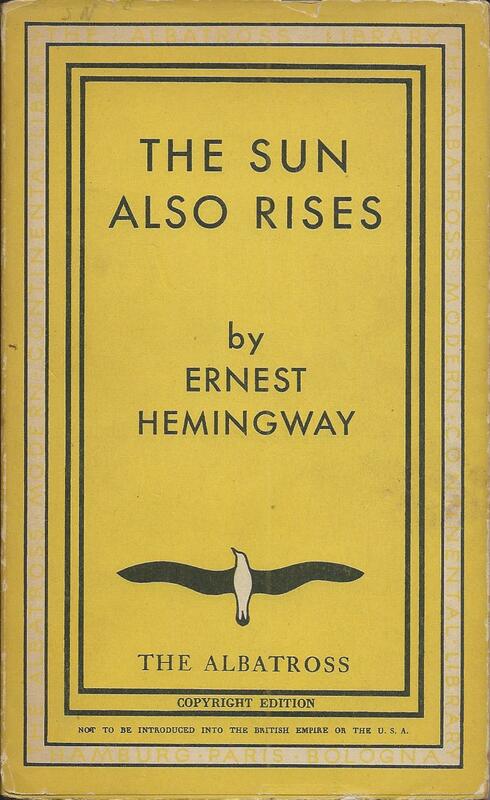 The Services Edition was not long after, published in 1943 as number c218 in the Collins series (which started at c201). I’ve never seen a copy, and I’d love to hear from anyone who has one or knows of one. The same goes for the next Rex Stout novel to appear in a Services Edition. I’ve never seen a copy of ‘The red box’, but again I know it exists as number S133 of the Guild Books series, published in 1944. This was one of the early Nero Wolfe novels, first published in the UK by Cassells. So Stout became one of the very rare authors to appear in both the main series of UK Services Editions. A mock-up of what ‘The red box’ might look like – if only I could find one! After that it was back to the Collins series for two volumes published together in 1945 and featuring other private investigators. Volume c313 was ‘Alphabet Hicks’ and c314 ‘The broken vase’, both stories that had been published in the US in 1941 and then in the Collins Crime Club in 1942. Alphabet Hicks is a one-off mystery featuring Alfred ‘Alphabet’ Hicks and ‘The broken vase’ is the third Tecumseh Fox story. These two are perhaps a little bit easier to find in Services Editions, but that’s only in relative terms. Both were later published by Collins in standard White Circle paperbacks – The broken vase’ as volume 185c in 1950 and ‘Alphabet Hicks’ as 208c in 1952, and these editions are certainly easier to find. And finally in 1946, there was a Services Edition of ‘Double for death’, the first of the Tecumseh Fox novels. 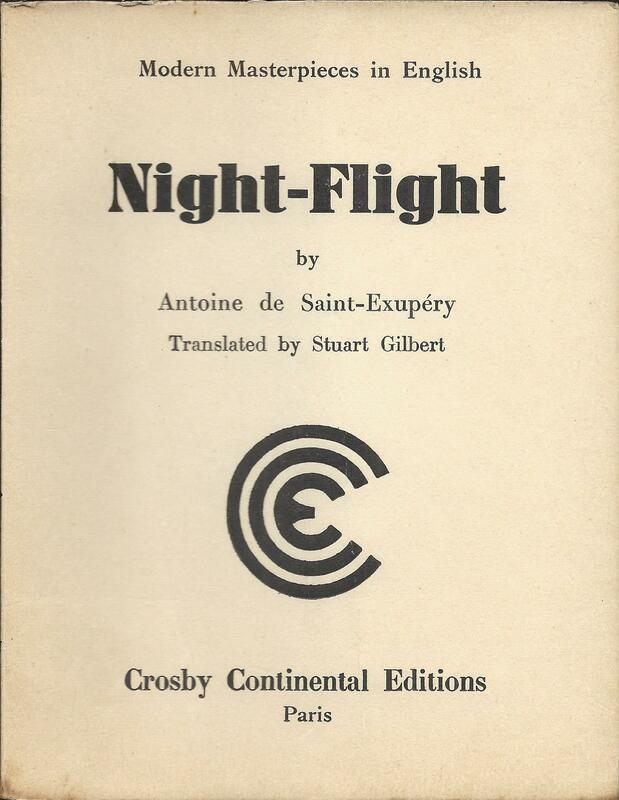 This had already been published in the main White Circle series, as volume 153c in 1945 and by the time it came out in a Services Edition, the programme was almost at an end. Many, if not most, of the Services Edition copies never reached the armed forces, and were released for general sale. So they’re mostly found these days with a WH Smith sticker on the front or the remains of one, authorising their sale, which at least means that they do turn up more often. The timing of this post is to coincide with a series of posts on Rex Stout by the Tuesday night bloggers. Click on the link to see other posts by the group. 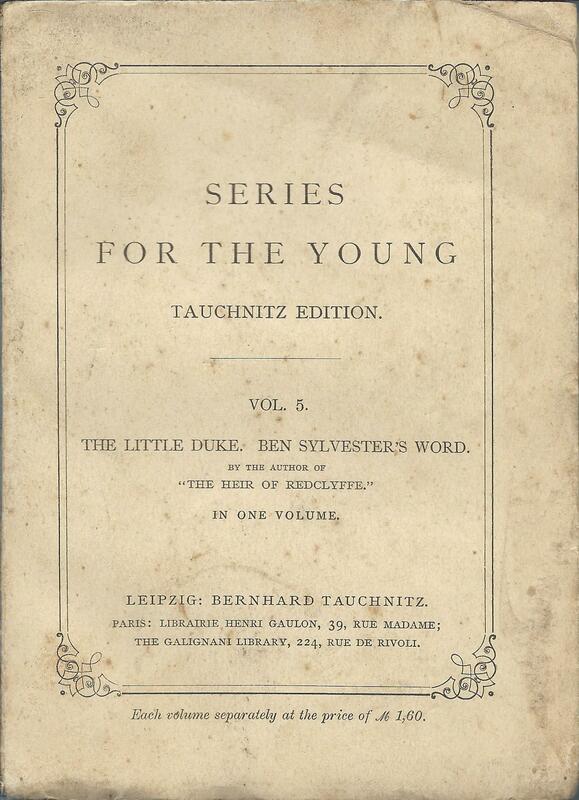 The Tauchnitz ‘Series for the Young’ must be one of the longest-running and yet shortest series of children’s books, surviving for 23 years, but publishing a total of just 30 volumes. It launched in 1860 with ‘Kenneth’, a story by Charlotte Yonge about Napoleon’s 1812 invasion of Russia – one of four volumes to appear in that first year. But after the initial flurry, there were never more than two volumes added to the series in any subsequent year, as it limped along to a final publication of Emma Marshall’s ‘Rex and Regina’ in 1883. 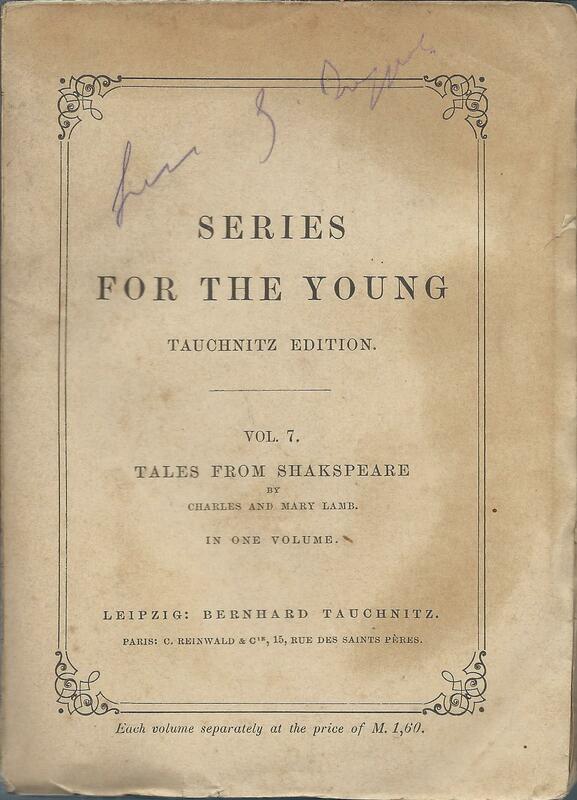 Over the same period, the Tauchnitz ‘Collection of British Authors’ advanced from volume 500 in 1860 to volume 2200 in 1883, so published over 1700 volumes, while the ‘Series for the Young’ published 30. What was the point of it? The list of titles is remarkably undistinguished and the only one that would be much remembered today is Charles and Mary Lamb’s ‘Tales from Shakespeare’, which had been first published in 1805 and was already a classic by the time it appeared in this series. On the other hand, ‘Little Women’, a genuine classic of children’s literature, appeared in the main series in 1876, perhaps wisely avoiding the backwater of ‘The Series for the Young’, as did ‘Tom Sawyer’, later the same year. Over the 100 year duration of the main series, it including numerous children’s classics, from ‘Treasure Island’ and ‘The secret garden’ to ‘Winnie the Pooh’, without any need for these to be branded as ‘for the young’. By contrast the titles in the ‘Series for the Young’ seem to be characterised more by the desire for moral education than by a passion for entertainment and adventure. The principal author was Charlotte Yonge, who contributed 14 of the 30 volumes, with Maria Edgeworth and Dinah Craik writing three each. Most of the authors (other than Edgeworth, who had died 20 years before publication), also had titles published in the main series, so perhaps this was just providing an outlet for books judged unsuitable for the main series, but by authors that were important to the firm. Almost all of the books were by female authors. There is just one written entirely by a male author (plus the part contribution by Charles Lamb) and that came 18 years after the start of the series. Women authors were contributing just over half the volumes in the main series over this period (1860s to 1880s), but this still seems a surprising level of dominance. Again it may perhaps be linked to the type of book that was being included in the series, rather than reflecting children’s literature in general, which so far as I’m aware was not dominated by women authors in the 19th century to anything like this extent. Todd & Bowden, in their Tauchnitz bibliography, suggest that the series was intended primarily for use in German schools, but the evidence is limited and the texts are not obviously suitable for this. 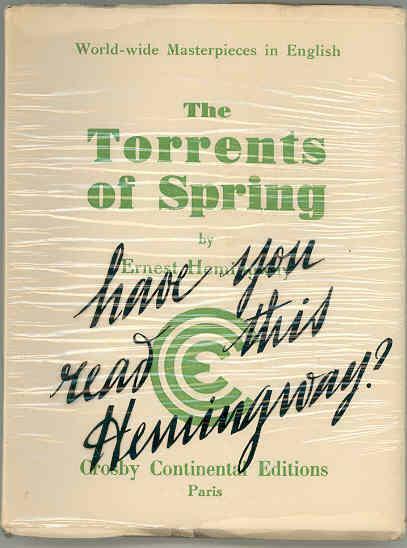 The format of the books was very similar to the main ‘Collection of British Authors’ and like most Tauchnitz publications they were mostly sold as paperbacks, with many then privately bound. There was also a distinctive publisher’s binding in blue cloth (shown below) with gilt page edges and spine decoration, and blind stamping on front and rear boards, that was applied to at least some of the titles. Some volumes also appeared in other standard Tauchnitz bindings. It’s usually only copies still in the original paperback wrappers that can be dated accurately or confirmed as first printings. But as with the main series there are other points, particularly the list of other titles by the same author on the back of the half-title, that can help with dating. These show that many of the books were re-printed and remained in print for many years, so presumably the sales of some of them did mount up, but it seems unlikely that the series was any more of a success in commercial terms than it was in literary terms.